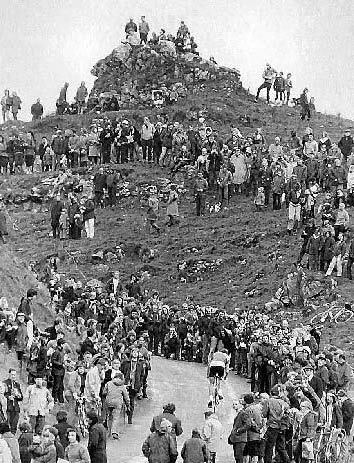 Alf Engers finishes to a large crowd. 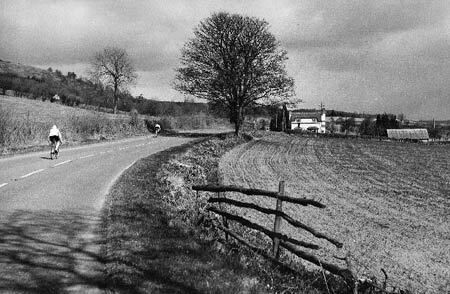 These 30+ photos come from a collection by the late Bernard Thompson. 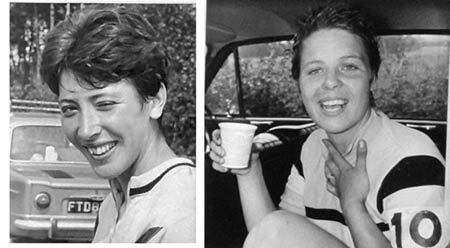 The photos are taken mostly in the period 1960-1985. You can buy a CD of these photos from Peter Whitfield. Details at the bottom. 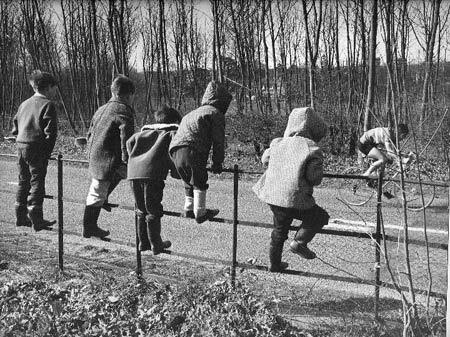 5 young spectators line the road. Before Changing Rooms. 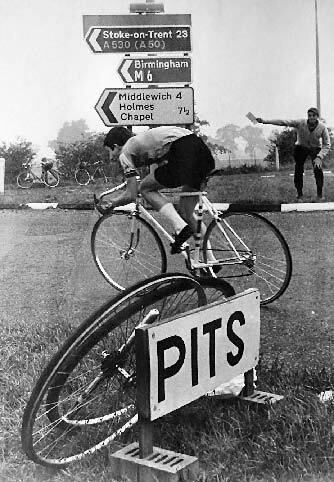 Many early time trials had no changing facilities. Riders would improvise by the side of roads. 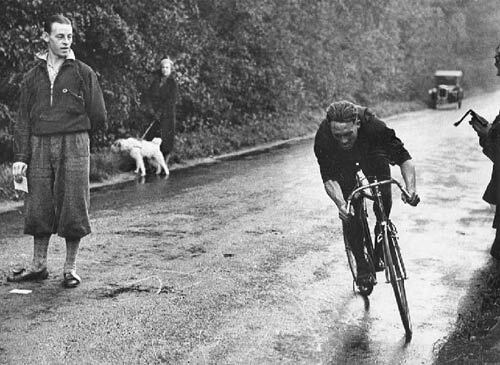 Frank Southall, doing a dead turn during a race in the 1930s. 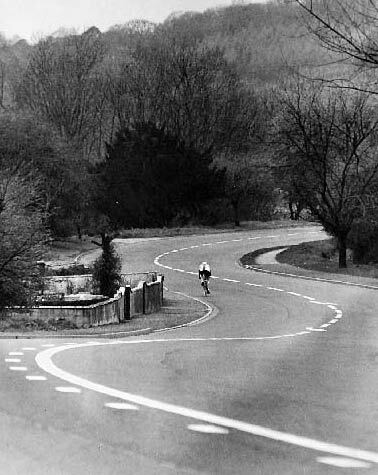 Many early time trial course simply went 12.5 miles in one direction, then riders would do a turn in the middle of the road and come back. 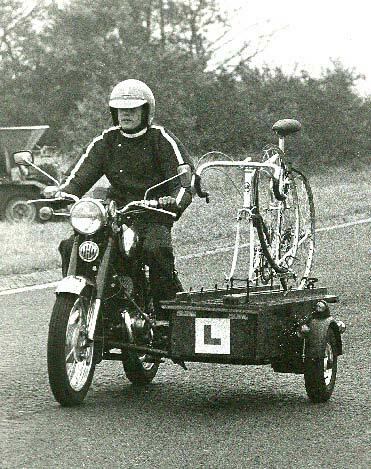 This was at a time when traffic volumes were very low! 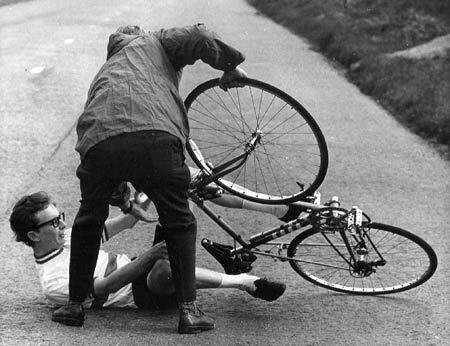 Unfortunately, doing a dead turn in the middle of the road at high speed wasn’t always so easy! Time Trialling – A family day out. David Lloyd. 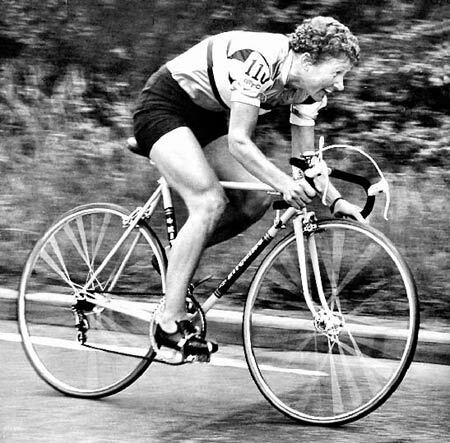 One the top British riders in the late 70s and early 80s. Hill climb on Winats pass. Probably a national championship by number of spectators. 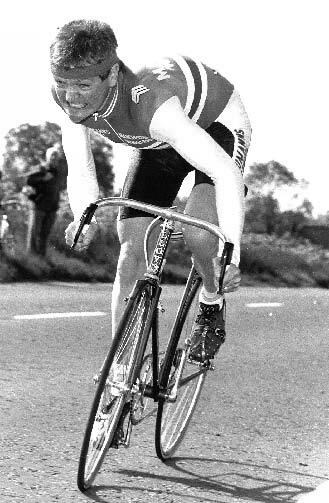 Jon French displaying the height of 1980s fashion and aerodynamics. A good tester will do anything to save that extra second. 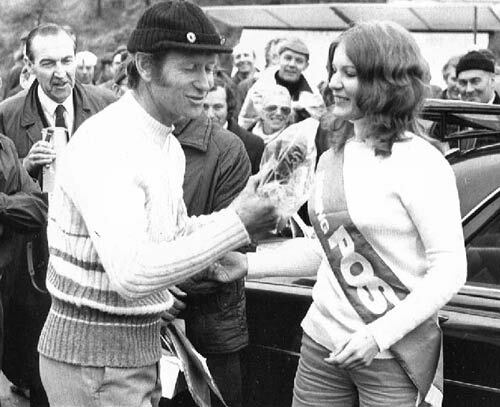 Jim Ogden receiving a prize. 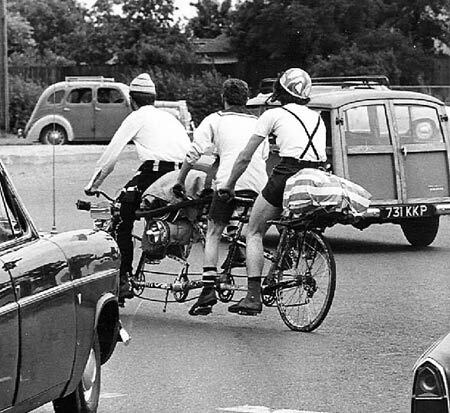 Funny Bikes, with upturned handlebars, were all the rage in the 1980s. Graeme Obree (not person above) had the last laugh though when he broke the World Hour record on his own very unique design. 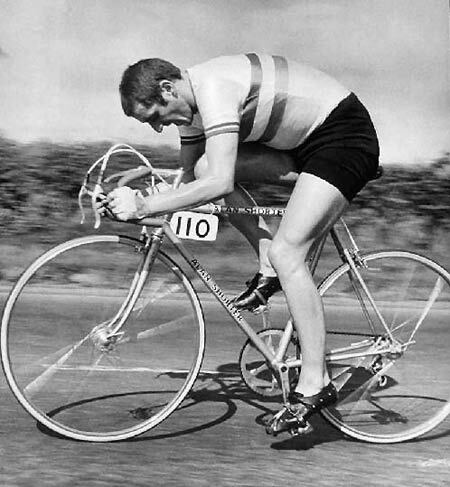 Mick Bowen. President of Oxonian CC for over 50 years. 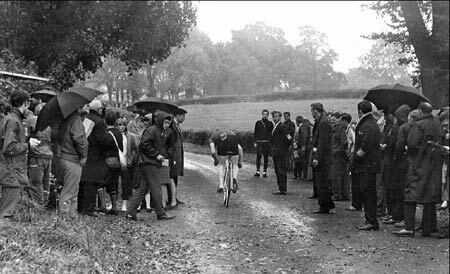 Jon Bayliss grits his teeth as the spectators enjoy a cup of tea. 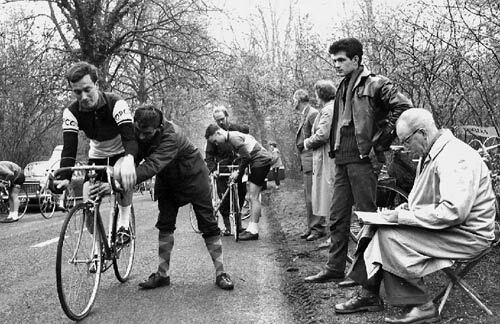 Tea is usually in plentiful supply at most time trial races. 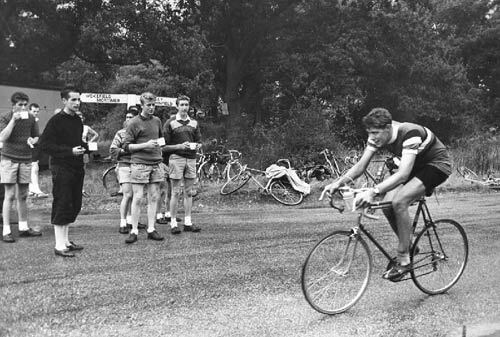 Norman Maggs smokes a pipe during a 24 hour time trial. 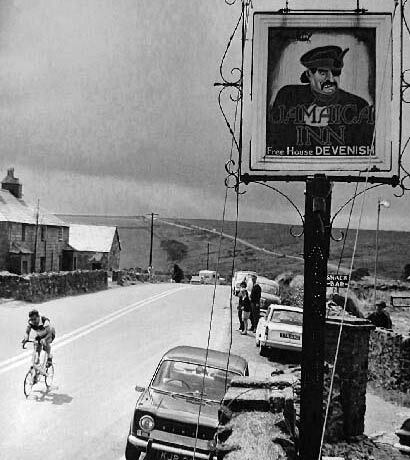 Reg Randall, riding a Moulton, passes Jamaica Inn on his unsuccessful end to end attempt. Mike Potts. – You can’t beat the feeling of finishing a race. 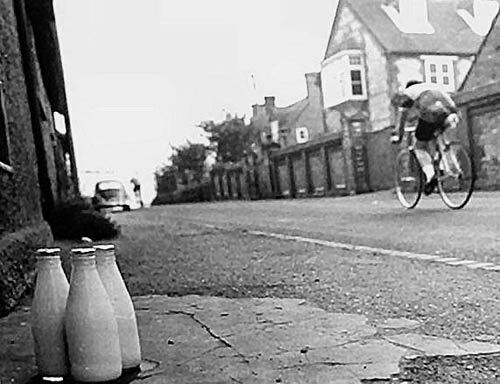 After the war, Bernard got more involved in time trialling and began racing himself. 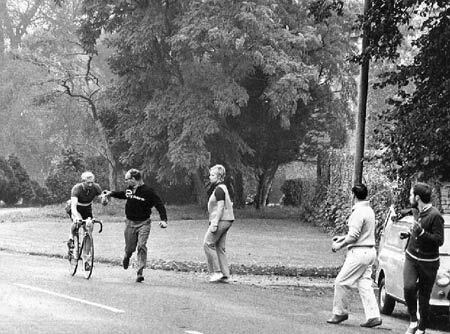 Note on CD: In commemoration of Bernard Thompson’s lifetime’s work as a cycling photographer, these images are presented copyright free for the use of any individuals or institutions furthering the interests of cycling. To Adele and Scott Sylvester. I came across this site purely accidently, so I was surprised to see that my fathers name, Colin Ward was mentioned several times. Unfortunately my father died 7 years, he was 69. He was cycling with a buddy on a beautiful sunny day in May, when he went to meet God. 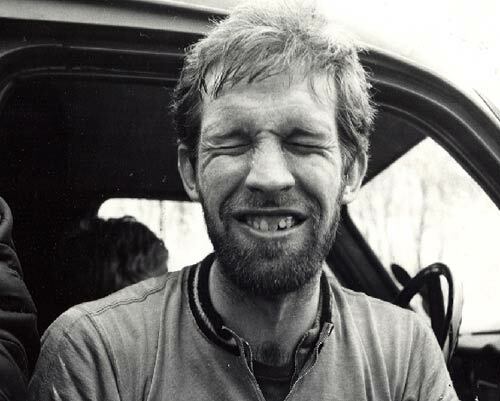 Tony, my brother was an acclaimed cyclist for the Manitoba provincial team. Hey man GREAT pictures! i wanna buy the cd, can u send me an email with the details? Loved the photos. 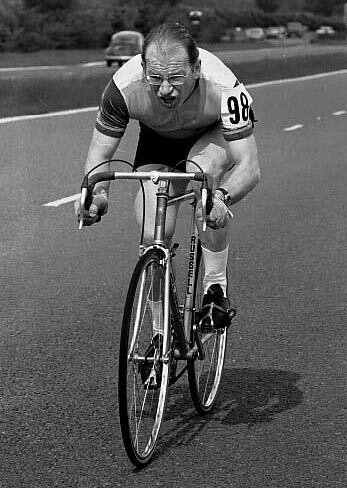 Especially the picture of my Dad Jim Ogden , who is still racing for the Altringham Ravens now. 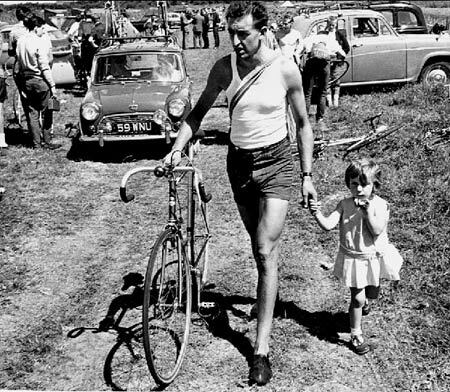 Many other pics as well brought back great memorys of “looking after Dad” at events, and my own time triling carrier. Cheers. Great photos! do you have any of Paul A Bennett? Thanks for bringing back great memories. 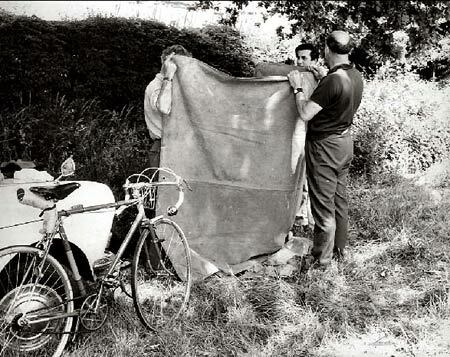 The Lowestoft Wheelers Cycling Club still exists, and has never been wound up, despite lots of rumours! 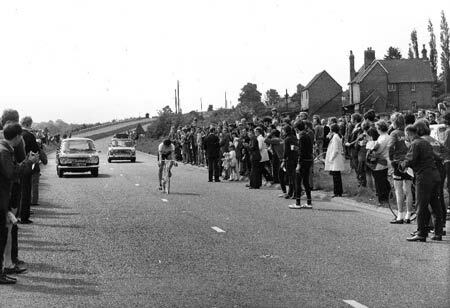 The chap on the funny bike was John Pring a fantastic short distance timetrialist from the now defunked lowestoft wheelers and the bike itself is the Mick Burrows forunner of the Lotus bike. 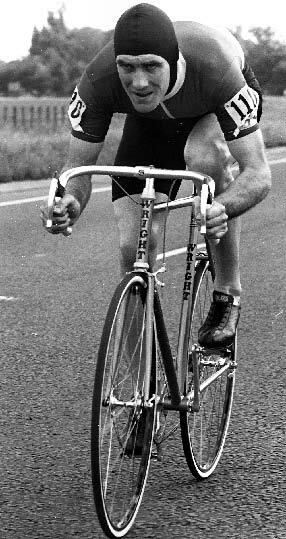 Hi Trevor Hockhold and thanks that was a great bike to ride not ugly like the flying gate you,hutch and richard bradley uesed to pedal wonder how that would get on in a wind tunnel these days. 32 Geoff, whoever you are . So would I . I think I may have now completed my autobiography, bar for pix! 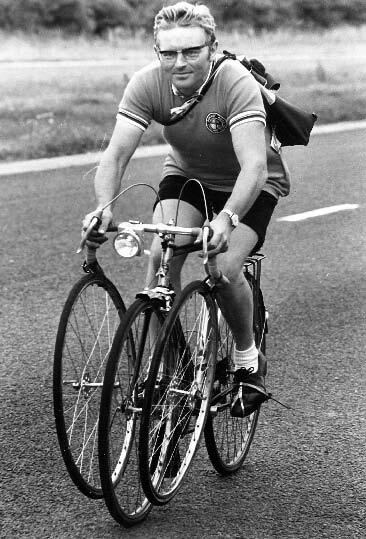 3, Dave Binks at the Leics Road club reunion .For the rest great looking and reading all thanks to Bernard , not only for pix he took and the chats with him and himinimitable tortoise-like delivery. 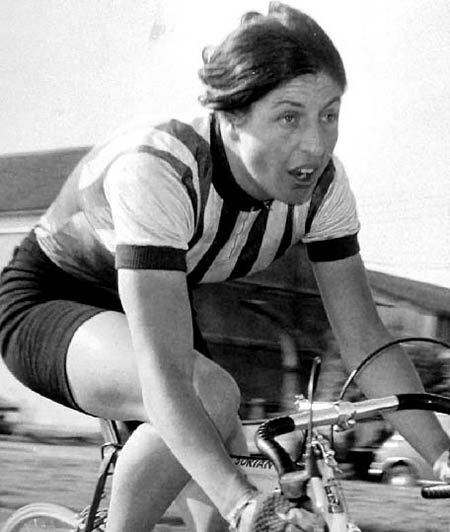 I would like to purchase the CD of pictures of Time Trialist and or any other cycling pictures. I live in Australia, is there a site on can purchase them online with credit card? 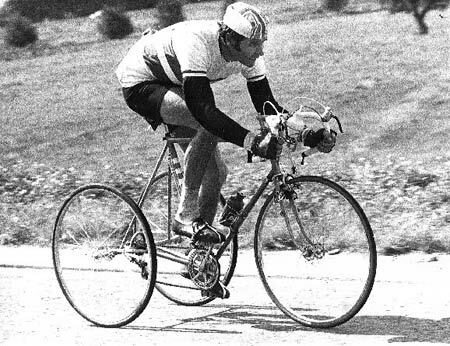 please contact me at john AT karaszy-kulin dot co dot uk and I will put you in contact with Alf Engers. He is a Carp Angler and fishes near one of the water I fish. 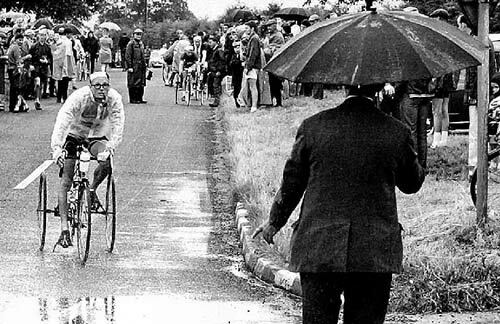 great photos of top men, the one of Eddie and Griffo in the rain is superb. Alf was the boss! 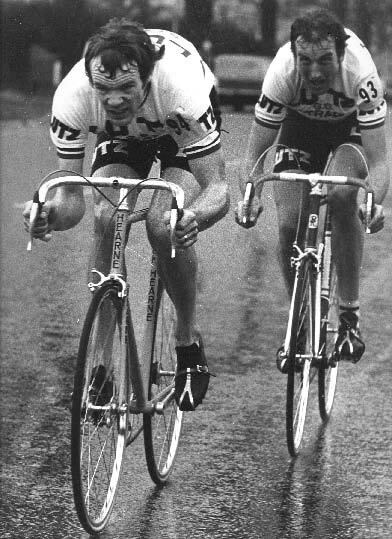 I rode for the Unity for 10yrs when Alf was there, it made me go a minute quicker with Alf as a team mate. Great piccies. Have you any of Mick Ward? 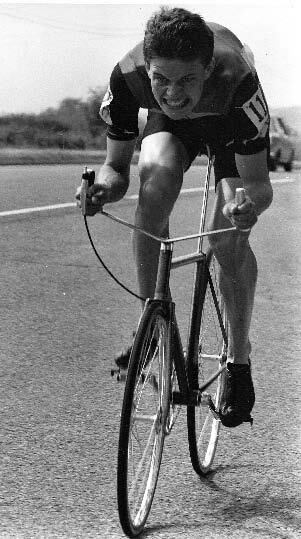 He tuned to running as a vet and picked up a few champonships (world; national ; european) Now at 75yrs is still running and has got a new bike; he’s as competitive as ever. What a wonderful collection of photographs! It really brought back so many great memories. 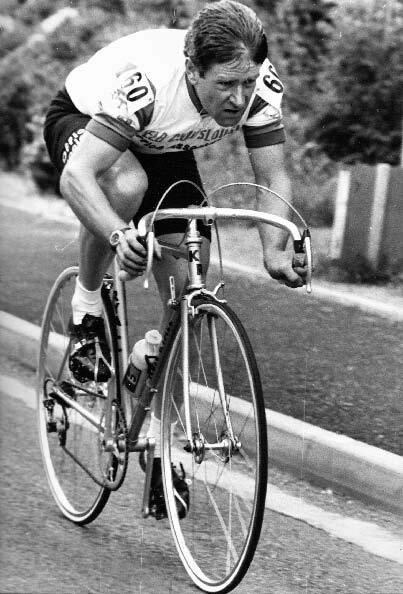 I was a member of Surrey Roads CC in the 70′s and remember Horace Mouatt very well. I hope he’s still cycling? Colin is living in Canada (Manitoba) I beleive. I grew up with his boys as they lived across the street from us. 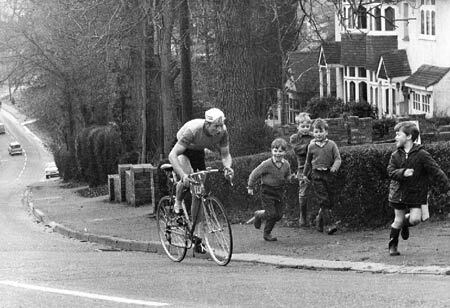 One of his sons (Tony) became an outstanding cyclist in his own right.